The sounds of Motown filled the Seneca Niagara Events Center on Saturday evening as two bands who helped define the Motown Sound, The Temptations and Four Tops took the crowd back in time. Both bands played for nearly an hour each and dazzled the crowd with hit after hit of some true Motown classics. Up first were the Four Tops who are notable for not having a single lineup change from their start in 1953 and lasted until 1997. These days the quartet consists of lone founding member Abdul “Duke” Fakir, Lawrence Payton Jr., Ronnie McNeir and Harold “Spike” Bonhart. The band got things started with their first ever hit “Baby I Need Your Loving” followed by another hit “Bernadette”. Things really began to cook once “It’s The Same Old Song” was performed. Before the night was through the band tore through several classics including “Reach Out I’ll Be There” and set closer “I Can’t Help Myself (Sugar Pie Honey Bunch)” both which made it all the way to the top of the chart. The band also did a fitting tribute to the original members who are no longer alive. After a short intermission The Temptations took the stage with their 1968 hit “I’m Gonna Make You Love Me”. The band delved into the meat of their catalog mid-set with the standards “Just My Imagination”, “Papa Was A Rolling Stone” and “I Can’t Get Next To You”? What Temptations show is complete without their anthem “My Girl”? The Temptations still feature Otis Williams, their last remaining original member as well as Ron Tyson, Terry Weeks, Joe Herndon and Bruce Williamson. The Temptations have numerous awards and distinctions. Just this year they received the Grammy Lifetime Achievement Award and usually up on many Greatest Artist Lists. 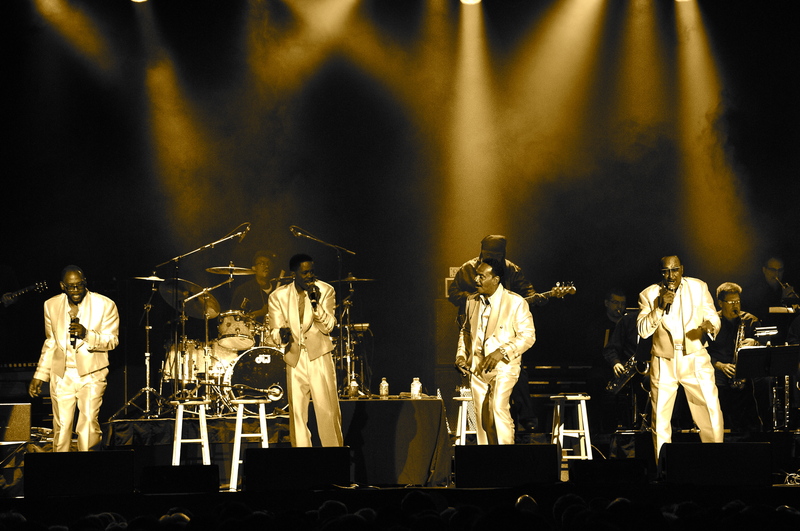 The current versions of both The Temptations and Four Tops give their fans laudable performances. Although they each contain one original member both bands are able to maintain their legacies by keeping the fans coming back because the fans still enjoy the shows and the music.